Brake Fluid plays a crucial role in the braking system as it transfers the force created when a driver presses the brake pedal directly onto the wheel hub. Provides excellent protection against high temperature and long duration corrosion. 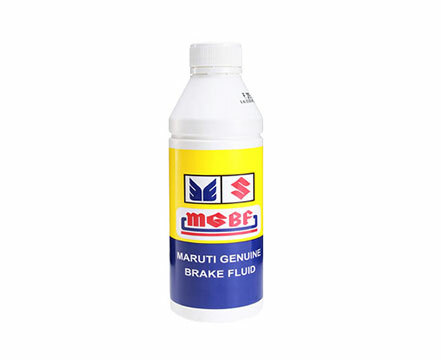 Maruti Genuine Brake Fluid is effective ‘low viscosity at low temperatures brake fluid‘, suitable for anti-lock braking systems. Meets the stringent extended-life corrosion protection for longer service life. Used as original factory-fill in your Maruti Suzuki car.